For travellers on the hunt for the tamer & more spiritual side of Japan, there’s perhaps no better destination than the town of Nikko. Located just two hours from Tokyo, Nikko is as famous an escape as they come within the Land of the Rising Sun. And while the town doesn’t yet possess the household name of places like Kyoto or even Nara, there are plenty of things to do in Nikko that’ll keep you more than busy whether you decide to tackle its as a quick day trip from Tokyo or want to throw a couple days of frolicking among its temples, shrines & glorious mountain scenery into your Japan travel plans. Spanning the forefront of one of Japan’s most famous scenes, Shinkyo Bridge will be—whether you intend it or not—one of the first attractions you’ll stumble upon in Nikko. Spanning over the Daiya-gawa River, this vermillion-coloured bridge acts as the main entrance to Nikko’s UNESCO World Heritage area. At one time, only noblemen were allowed cross Shinkyo Bridge. Today, the rules are a bit more lax, and visitors can pay a small fee to cross in the footsteps of samurai and rulers. Truthfully though, the best views of Shinkyo Bridge are from outside it. Instead of paying to walk across, save your money and back off to the main pedestrian street for a postcard-worthy shot of the red bridge colliding with the stunning greenery & mountain scenery of Nikko National Park. 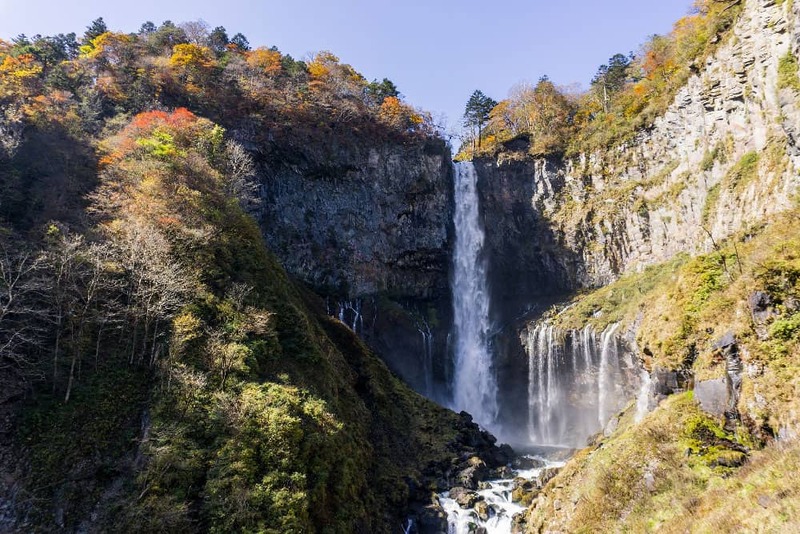 Although there’s a free observation platform accessible at the top, you’ll get a far better view by plunging down the 100-metre elevator (¥550) to the base of the falls where the most classic views of Kegon Falls unfold. No one’s ever accused Japan of being short on epic natural scenery, and Lake Chuzenji (Chuzeni-ko) is definitive proof. With the sacred Mount Nankai looming on its shores, it’s no surprise that the birth of Lake Chuzenji came at the hands of the mighty volcano, erupting some 20,000 years ago and blocking the flow of a river to flood the basin. Presumably due to the area’s sacred status, Lake Chuzenji isn’t highly developed around the shoreline. If you’re looking for a quiet place to stay in Nikko, the relaxing atmosphere here is perfect for gearing up to explore the surrounding area. Otherwise, hop on one of the sightseeing boat cruises departing from the Chuzenji-ko Onsen docks not far from Kegon Falls. Aside from natural scenery, there’s something else Nikko isn’t short on: temples. And if you want to check out one of the best, look no further than Rinno-ji Temple. With a history dating back to the 8th century, Rinno-ji was the first temple in the Nikko area, and still the most important for Buddhist worshippers. Be sure to enter inside Sambutsu-do Hall to check out the main attractions of Rinno-ji: Three gold-covered wooden statues representing the local mountain deities of Amida Buddha, Senju-Kannon, and Bato-Kannon. Also worth checking out is, Shoyo-en, the temple complex’s meticulously kept traditional Japanese garden that’s at its absolute best in fall under a blanket of colourful autumn leaves. 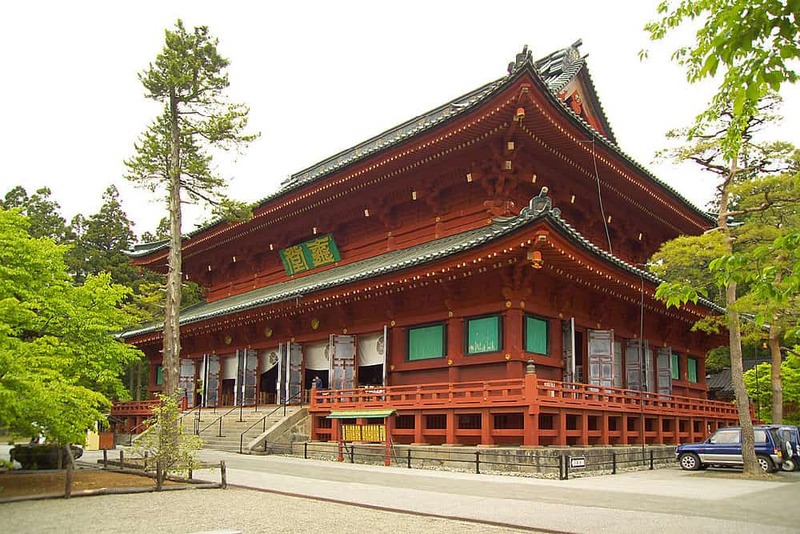 As impressive as all of Nikko’s attractions are, none is more impactful than Toshugu Shrine, the mausoleum of the first shogun, Tokugawa Ieyasu. The temple dates back to the mid-17th century, and is famed for its ornate woodwork and moss-covered stone pillars. A handful of jaw-dropping traditional Japanese buildings dot the shrine complex including Sanjinko (Three Sacred Storehouse) and Shinkyūsha (The Sacred Stable) as Gojūnotō, the tallest Buddhist pagoda in Japan. Rounding out the triage of spiritual things to do in Nikko is Futarasan-jinja Shrine, a complex dating back to 1619 to solidify it as the oldest in the area. Thanks to its uniquely Japanese flavour, Futarasan-jinja is the most famous religious site in Nikko, showing reverence for local Shinto mountain deities. 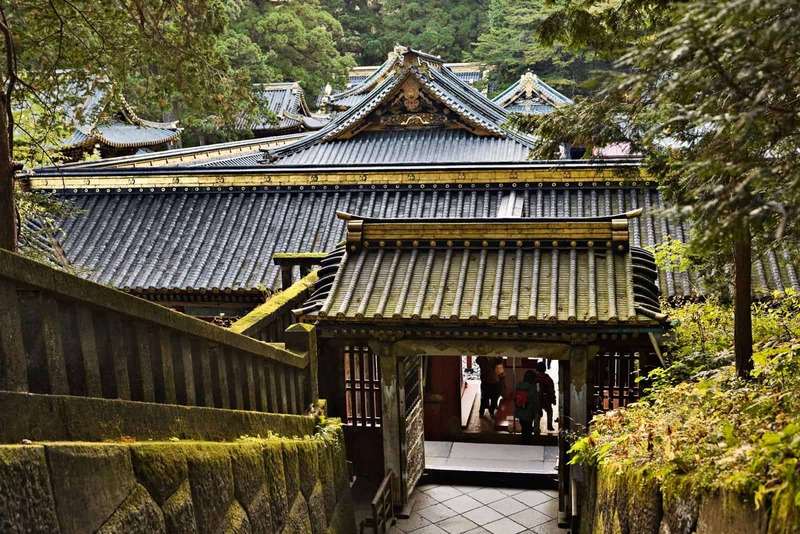 Although its hardly as mind-blowing at the other two main temples & shrines of Nikko, Futarsan Shrine blends seamlessly with the surrounding greenery to create a relaxing ambiance unlike any other shrine complex in the area.